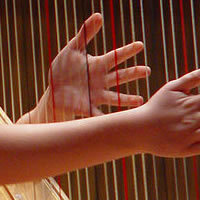 Bonnie performs on the piano, concert grand harp, Celtic harps electric and acoustic. From ballroom events to beach weddings. Bonnie is an experienced performer. Music styles may include classical, Hawaiian, folk, popular and sacred. Ensembles also. Beautiful music for your elegant event.